I really need to get to Do Not Say We Have Nothing. Priority reading for next year. One thing that I enjoyed about this one is the sense that he seems to want to bring the theme off the page for us, by forcing us to explore the situation he’s laid out for us as readers. Not everything is perfectly framed or linked and we are still asking questions, throughout and afterwards. I think that’s a very interesting way to approach the story from a writing perspective, although I can also see where it might be frustrating for readers who really want a tidy resolution and a sense of licksy-stampsy on the expedition of reading. I know I’ve mentioned to you that I had some trouble getting into this one, and I think you might have a point in saying that it requires some focus to settle into each of the scenes he paints; whether I was reading too many books at once or whether I was simply in another mood, the second-time-around stuck for me! Are you tempted by either of his other novels? I’m glad it stuck the second time through! I am tempted by his other books, especially Toploader. They both seem to have mixed reactions on GR, but usually those are the ones I’m curious about and often end up loving them. What about you? If you’d asked me last month, I’d’ve shrugged. But now I am a total convert! This sounds really interesting – I’m fascinated by the exploration of both the far north and south. I don’t think I’ve picked it up yet for many of the reasons you note – it looks overlong and dense – but I might be able to overlook that if it’s bulked out by history. There’s so much history. 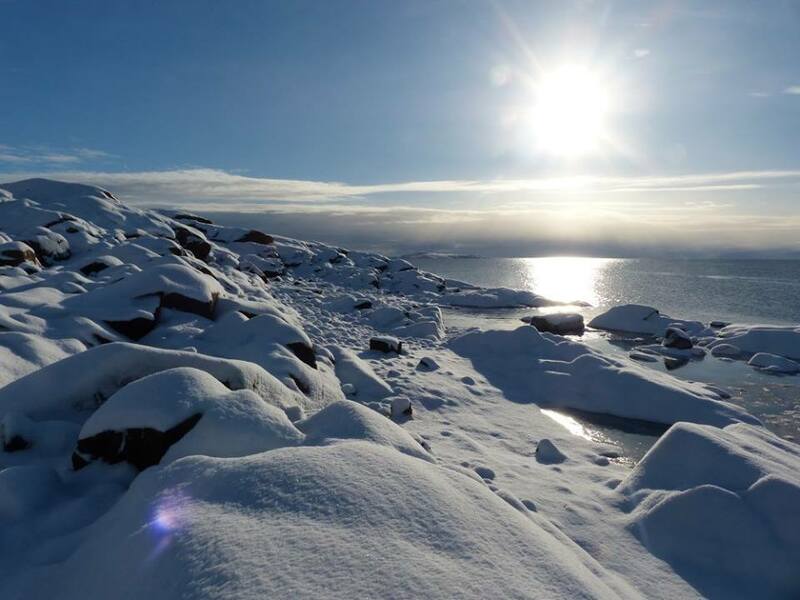 If you have an interest at all in polar exploration, then I think you’d like it! I don’t even think it’s too long – unless you’re not interested in the subject. I have a feeling it won’t be long before this one makes its way over, if it hasn’t already. The author has pretty much lived in Ireland since the age of six. That sounds promisingl. He did ask for a list which seemed foolhardy to me but I decided to be kind! And, yes, I love the diversity! I love picking up a book and not knowing exactly what I’m going to get. I can see how it might make choosing just one book that much harder, though. I would love to be a fly on the wall for the jury discussions! This sounds terrific. A novel I read recently also took its title from a Wallace Stevens poem: As a God Might Be. I was reminded of The Voyage of the Narwhal just by reading your review. Too bad that you didn’t feel the emotional punch while reading. It still sounds like something I would like to read as well. I am fascinated by people who have this drive to just pack up and go somewhere, for whatever reason, no matter how dangerous it is. I didn’t really miss the emotional punch… I just noticed that it wasn’t a strong presence. You don’t stay with any one character long enough to get emotionally attached to them. But it’s a good book for other reasons, and one I think you’d like! It sounds like the two characters are just being used as vehicles for imparting the other information. I loved Do Not Say We Have Nothing. This could be one you’d like, Kay! I would love to read more about the place but I always feel weird when non-fiction and fiction are mixed like this. It certainly sounds like an innovative work, anyway. It’s helpful to be ready to look things up as you go along. Which isn’t a problem when you’re into it. The majority of the stories and characters seem to be real. But I can understand that it’s not everyone’s favourite way to read a book! I’d rather read a non-fiction work, I think – that’s what I failed to get across! I was thinking Nov. 20 suddenly seems very close! Probably because I’ve only read and reviewed 4. I just started “I Am a Truck” today – I was waiting for it to come through the library, but couldn’t wait any longer so bought it instead. Luckily it’s short! I find it tougher to choose a favourite this year than last, but Son of a Trickster is one, and Bellevue Square, and I Am A Truck will also be if it continues the way it’s going. Sorry, I’m not very definite… I have some thinking to do! We will pick the Shadow Giller a day or two before the real winner is announced. Yes, it’s later this year. I think that’s why I felt like I had lots of time. But no worries – the book arrived yesterday and I finished it today. Working on the review right now (but procrastinating by answering a few comments!). I loved it. I wouldn’t mind seeing it win. I wouldn’t mind seeing a few of them win. I guess that’s a good thing! 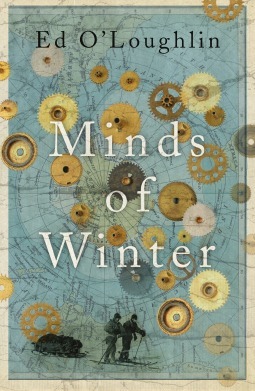 I’m on the fence about Minds of Winter. I liked Barrett’s book but this one sounds convoluted. I heard him read from it but wasn’t totally convinced. Amazed to hear Redhill won! I think you have to be in the right mood, and ready to get into it. It’s not an easy ‘pick up – put down’ read.